The Addict, Xeno, Storm, Chim Chim, Syafiq. 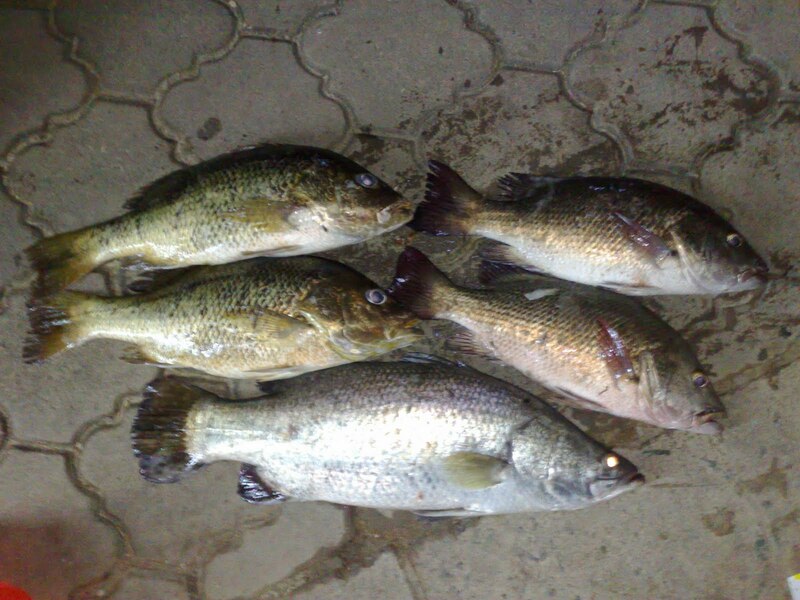 Again, not a greaaat nite in terms of fish.. Sya - Zero fighter, Storm - Zero fighter and all hail the Zero-Biter aka Angling Addict. Devils point proved good for Xeno!!! Again, others did catch but it just wasnt our nite for those who were awarded UTEYBB - Utama Telor Emas Yang Besar Besar. Addict got his second award, UYGK - Utama Yang Gigi Kosong. For the first time in his life at PRPP, the addict recorded a ZERO BITER!!! Fish that were up looked great... hopefully the spell will be over soon. Cheers for a greaaaattt time. bro, got to chiong den can lor. too bad, snap a big ACK..